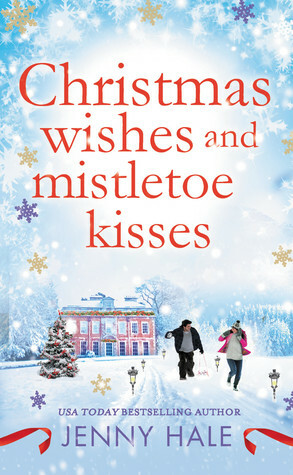 A feel-good story about the magic of Christmas… and the rush of falling in love under the mistletoe. Single mother Abbey Fuller loves her family more than anything, and she doesn’t regret for a moment having had to put her dreams of being an interior designer on hold. But with her son, Max, growing up, she jumps at the chance when a friend recommends her for a small design job. How hard can it be? Nick Sinclair needs his house decorated in time for his family’s festive visit-and money is no object. What he doesn’t need is to be distracted from his multimillion-dollar business-even if it is Christmas. When Abbey pulls up to the huge Sinclair mansion, she has a feeling she might be out of her depth. And when she meets the gorgeous, brooding Nicholas Sinclair, she knows that she’s in real trouble . . .
With the snow falling all around them, can Abbey make her dreams of being a designer come true? And can she help Nick to finally enjoy the magic of Christmas? About the author: When I graduated from college, one of my friends said, “Look out for this one; she’s going to be an author one day.” Despite being an avid reader and a natural storyteller, it wasn’t until that very moment that the idea of writing novels occurred to me. Sometimes our friends can see the things that we can’t. While I didn’t start straight away, that comment sowed a seed and several years, two children, and hundreds of thousands of words later, I completed a novel that I felt was worthy of publication. The result is Coming Home for Christmas, a heart-warming story about friends, family, and the magic of love at Christmas.